Nicole George always brings the sweetest couples! Colette and Brian were so excited about each element of the wedding day and let the creatives have a lot of freedom - which is the best! The background of the ceremony didn’t really do it for Colette so we draped larkspur and delphinium from the four post arbor to create a screen and more intimate setting for them to say “I do”. Thank you to Shelly Anderson Photography for the beautiful photos! An intimate wedding doesn’t have to be simple, with a lower guest count it opens up some budget to go over the top with your design elements. This sweet couple let Francine Ribeau Events lead the way on design and let us have our way with the flowers. We created a gorgeous 24 foot continuous floral runner to wow the special guests that took part in this sweet day. 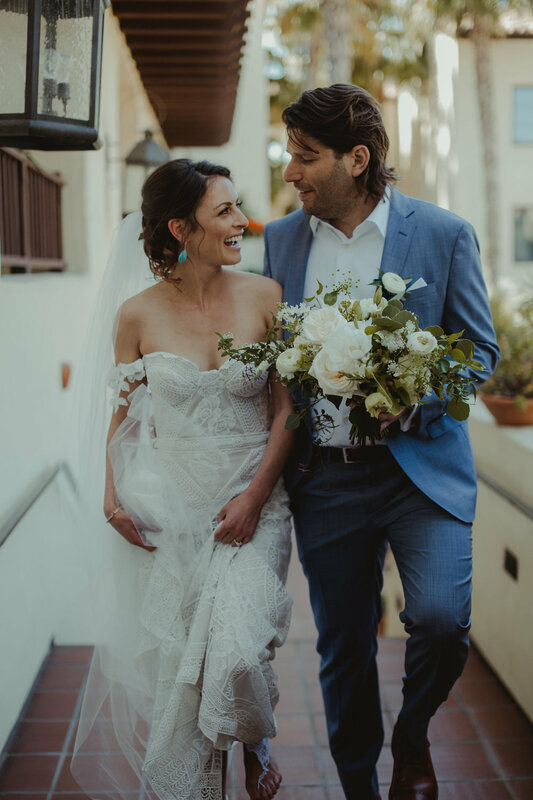 Lolo and Noa Photography - stunning wedding day at one of our favorite venues, Scripps Seaside Forum! What a spectacular day this couple planned! 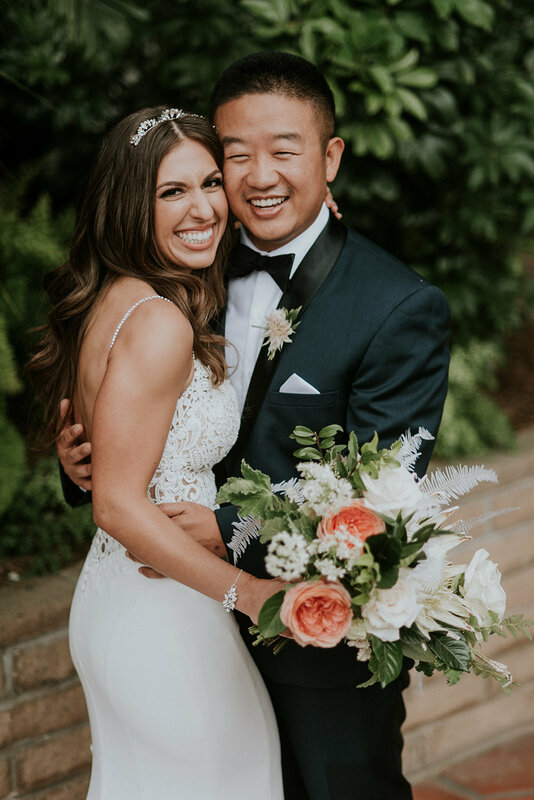 With the help of Molly at Tres Chic Affairs to bring the details together and make sure the day ran smoothly, and some amazing weather, Mike and Nicole's day went off without a hitch. A customized bar from TBDesigned San Diego, an elegant tented with chiffon draping from Classic Party Rentals, and Coast Catering's delicious recipes - this day was seriously spectacular. 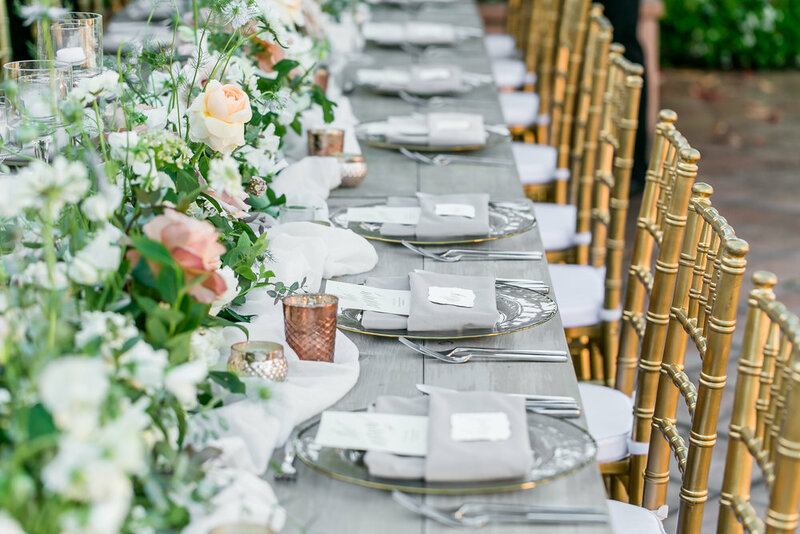 We loved adding the soft and classic floral design to this go-all-out affair. Thank you Mike and Nicole! 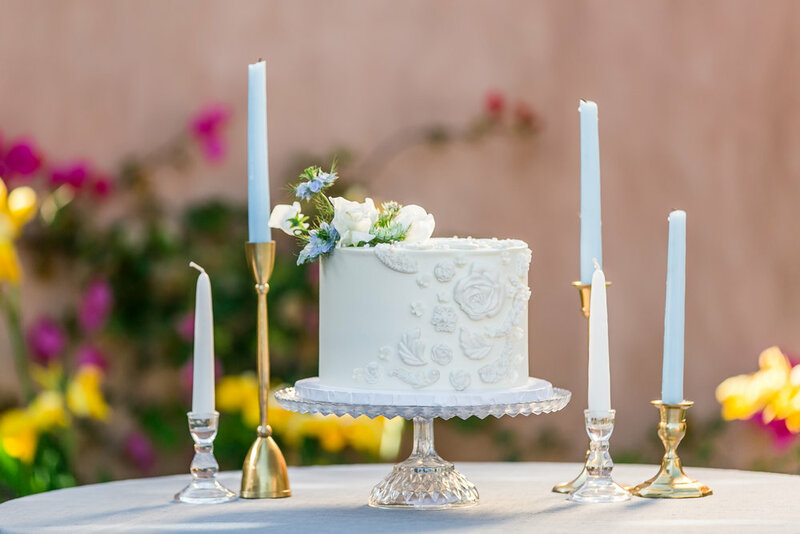 Check out these gorgeous photos from Aga Jones! 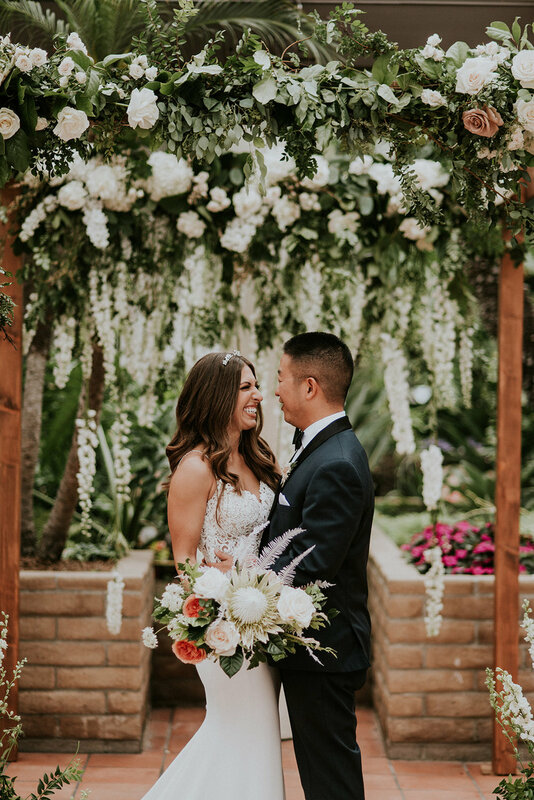 Affordable Wedding Flowers in San Diego? Yes!! It's Possible! 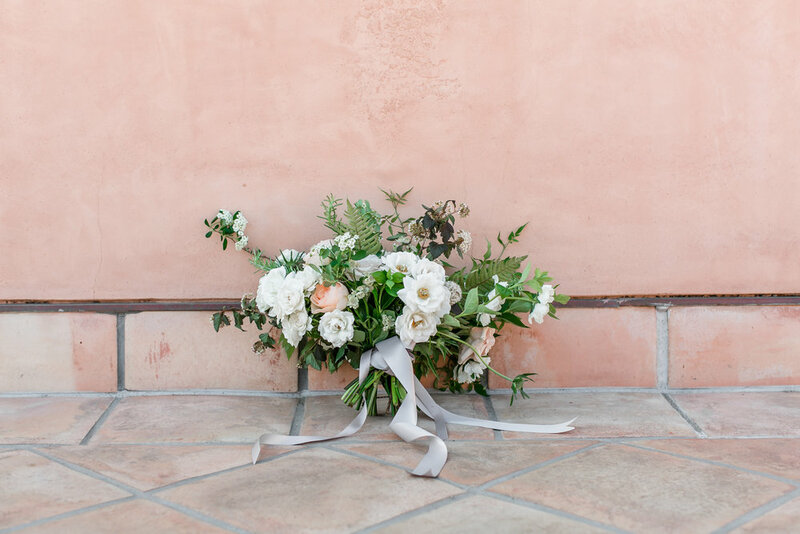 Budget friendly wedding flowers to keep you on track. Flowers that are affordable and beautiful - finally! Full service: $3500 minimum to book. What that allows is that we only take one full service event on the event day. I will not be running back and forth between event set ups and you will get me on site, with my crew, for installations/arch building/floralizing/etc etc. 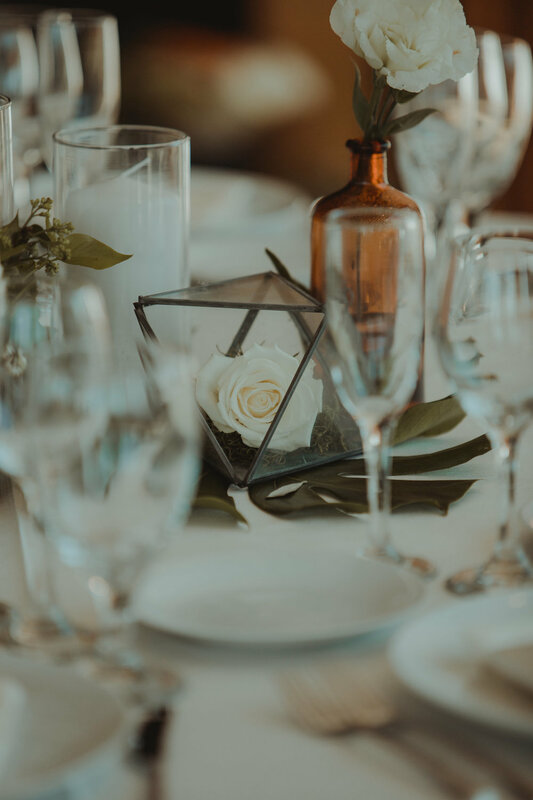 We show up 3-4 hours before the start of the event to deliver personals directly to you, set table centerpieces, tweak details, make general beautification happen. 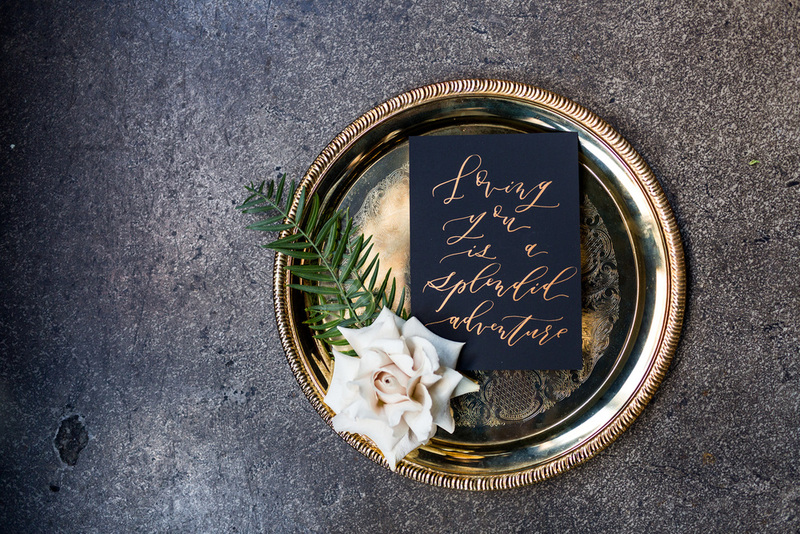 You get full access to all of our rentals, customized sketches, an inspiration board created through Aisle Planner, as many in person meetings, venue walk throughs, phone calls, coffee dates as you need to hang out and discuss decor ideas. Any booking over $6000 gets a complimentary centerpiece sample meeting and you get to take the flowers home and start dreaming of the big day as it becomes more real! Partial service aka "beLOVED BLOOMS": No minimum to book. Send over your budget and fill out the questionnaire so I can see a full list of what you need and your style. I will come up with a custom plan to create gorgeous centerpieces, bouquets, etc that fit within your needs/budget and fit your overall design. 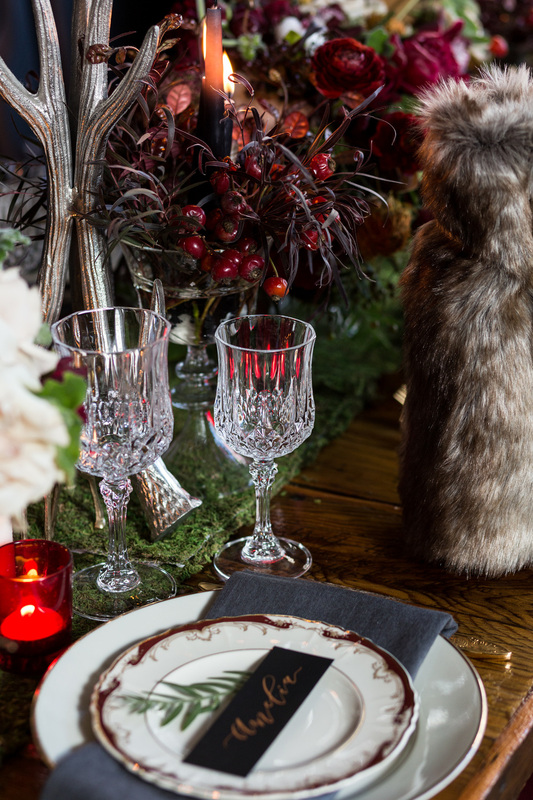 You'll see a full itemized list of all decor and descriptions of items. We can chat over the phone or meet in person and once you're comfortable with the design we'll book it! BLOOMS takes on more that one of these a day and they are generally handled by the BLOOMS project manager during design and set up. You can choose to pick the flowers up from our studio (to save on delivery fee) or we can deliver for a flat rate. The partial service packages don't include full event set up (that's where you save money since our crew won't have to be around all day - that's generally a lot of money on labor alone) so we will need to discuss how each aspect will be set (centerpieces, arch decor, etc). Generally a coordinator or family member/friend is happy to place centerpieces and help with any simple set up. We'll figure it out! DIY Flower Parties aka beLOVED BASH: This is a super fun way to get hands on with your flower creation, spend time with friends, and save money on centerpieces. The studio will be set up as your private flower shop. You and your best friends will be guided step by step in the process of making your centerpieces and bridesmaids bouquets. We'll set up all flowers needed, provide all tools and supplies (plus sips and snacks!). After the evening is over we will store your centerpieces and bouquets in our cooler to keep them fresh, finish up the items still needed, and schedule delivery of your flowers on the big day! The delivery aspect operates just like our beLOVED BLOOMS packages. You can choose delivery or pick up to save some cash. Starting packages include flowers and vases for 10 low and lush centerpieces, 5 bridesmaid bouquets, 1 bridal bouquet, and 8 boutonnieres. The pricing averages out to around $2000. Adjustments and quantity changes can be made, and additional purchases and rentals are available. We will schedule this event the Tuesday, Wednesday, or Thursday before your wedding. Get in touch here for full service or partial packages or inquire here for a flower party and we'll get some pretty plans started! Such a lovely day in San Diego. This combo of pastels and bold pops of color is something I would do over and over again! Del Sur Ranch House offers the most beautiful and intimate setting while maintaining sweeping views of San Diego's rolling hills. 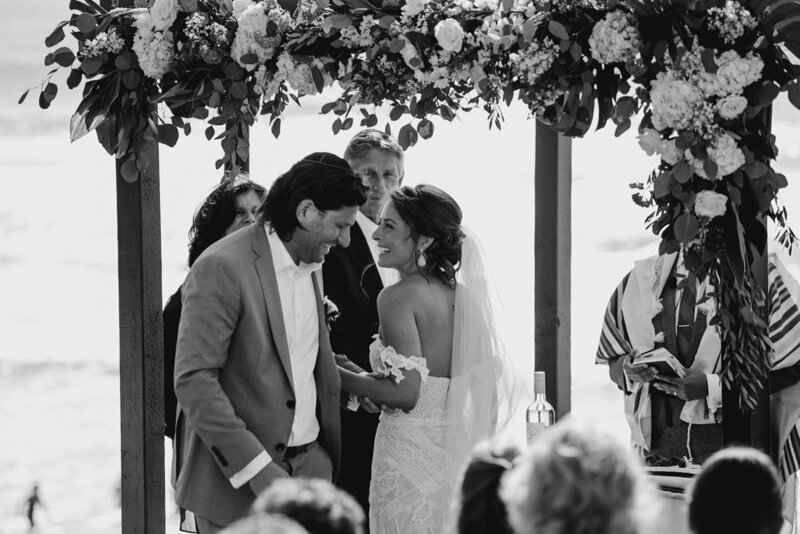 Sweet shots of the couple in the family's close-by vineyard give such a memorable experience. And of course, a day couldn't be so perfect without a wonderful team. Thank you Nicole George, Patty of Petula Pea, and Coast Catering for once again delivering a wonderful design and fantastic end result. The Tulipina workshop definitely did not disappoint, Kiana is sweet, authentic, and very real. Her talent and eye for tone and texture are the real deal. I had initially contacted Tulipina Design to assist with the workshop that was held at Hedley & Bennett's production warehouse/office in Los Angeles. My intention with offering to assist was really that I just wanted to hang out with Kiana, I wanted to get to know her as a person, and understand how she works. She welcomed the help for day one of set up and encouraged me to still partake in the workshop the following day. The first day of helping with set up was like Christmas, box after box of amazing flowers and foliage. We unwrapped, fresh cut, and processed each bunch of product that was delivered and with each bunch we ooh-ed and ahh-ed. 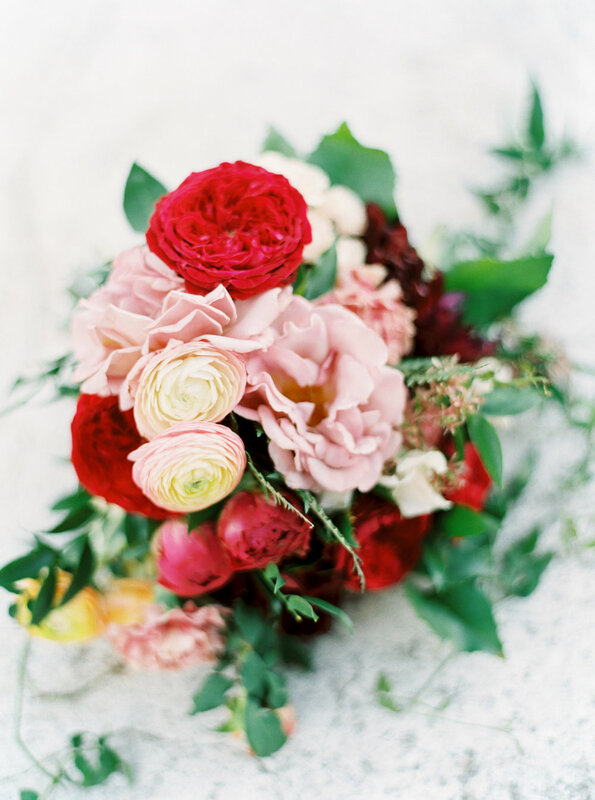 Zinnias, poppies, peonies, parrot tulips, garden roses, on and on - just so much beauty! All in tones of pink, peach, white, and coral. Seeing the display of flowers come together was stunning! Another assistant, Kiana, and I all went out to a gorgeous lunch and had a lovely conversation about flowers, running businesses, travel, and future plans. The next day was the workshop and we got to work. Kiana started with basic logistics of how she starts her centerpieces. I learned how to use a floral frog which, somehow in almost 15 years of designing, I had never used before. It seriously changed how I make my arrangements now. I've always used oasis or tape to secure florals in low vessels. I hate using tape so avoid that at all costs. Oasis foam is wonderful but you always have to use vases that are not clear to avoid seeing the foam inside and there's more waste when using Oasis. Now, with floral frogs, I can use my favorite clear crystal urns and the frogs slowly disappear from sight as flowers are added. The frogs are reusable so that takes care of the extra waste! Additional workshop topics covered bouquet making and wreath installations - another new favorite of mine. Once each student was finished with our various projects we walked our finished products over to the photo area where the amazing Jose Villa photographed our work. Throughout the day Kiana answered any and all questions open and honestly. She never hesitated to share information the students were seeking and encouraged conversation and partnerships between attendees. After the workshop concluded, we cleaned up and got the studio back in order. Kiana let me take home some of the extra product that I used for the art class I volunteer at the following day. We ended our day with a delicious dinner and lively conversation over tacos and margaritas with another Los Angeles based floral designer she knows. I left the whole experience with new friends, connections, inspiration, and new excitement for my own work and the direction I want to take BLOOMS. Thank you Kiana and all involved for such an amazing experience. Nothing sweeter than a couple literally surrounded by everyone they love. Set under a hanging greenery chandelier, surrounded by friends and family - no better way to say, "I do". A ceremony in the round set the tone for the evening full of love and support this couple wanted to set forth. This whole day, and really the entire planning process, was seriously filled with excited and love. Each detail was carefully attended to by the bride to make sure the day came together perfectly - and it did!! Working with a stellar team and an open mind she was ready to enjoy her wedding day to the fullest! Brogen Jessup is one of my favorite photographers ever and I am always overly excited to work with her. I always go a little overboard when we are working a wedding together so naturally, since the bride was open for anything, I decided to essentially build a tree along the pipe-and-drape to soften the edge and really bring in the garden feeling. A mix of herbs, fern, and pothos plants ran down the length of each farm table. Inspired by the Netflix series, "The Crown", this wedding inspiration features royal details and luxury design. Lush and full without being overdone, timeless, tasteful, and romantic. 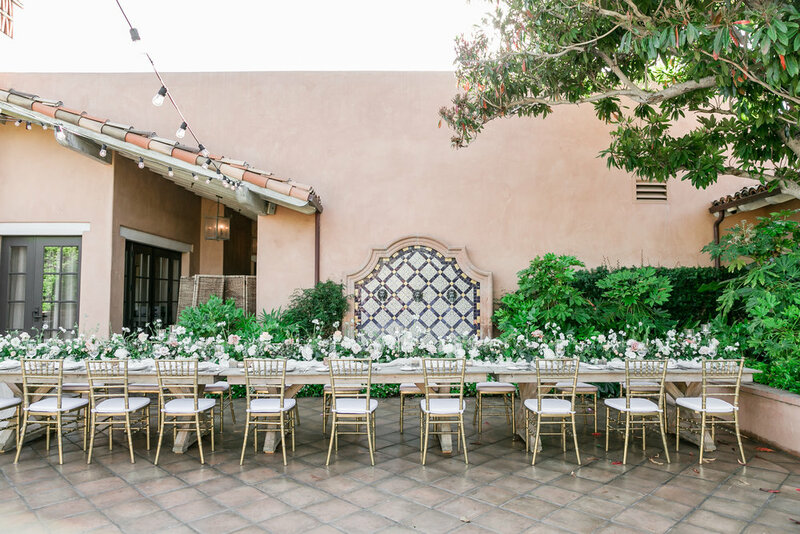 The Westgate Hotel in Downtown San Diego offers the perfect backdrop creating an environment of a grand European Chateau perfect for those San Diego couples that don't want the typical beachy wedding. It would be a glorious venue for an elegant black tie affair to whisk guests away to a very different time and place. 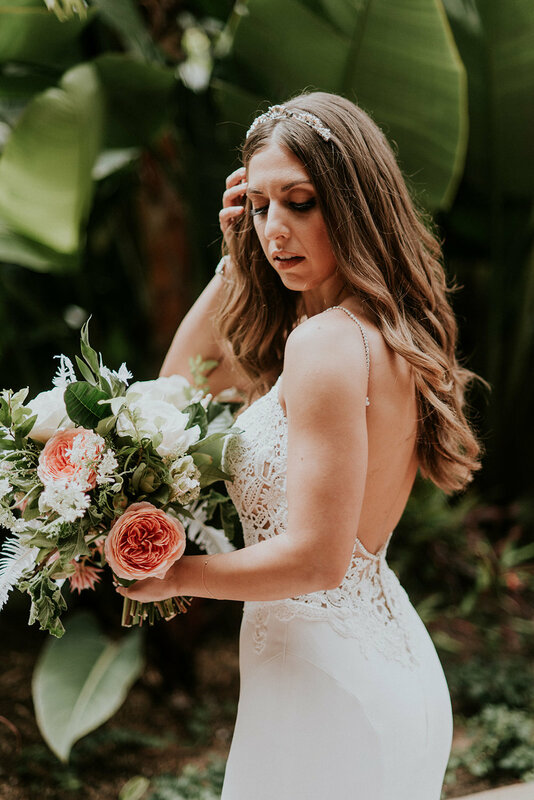 What's additionally exciting about this wedding inspiration shoot is that Southern California Bride loved it as much as we did and featured it on their blog, you can see the full feature here. OOH - one of my favorite San Diego venues. This place is a serious dream especially if you like garden ceremonies and grand European buildings. From the bridal suite to the cocktail bar to the ballroom with the grand wooden hearth - it's seriously stunning and each detail is spectacular. 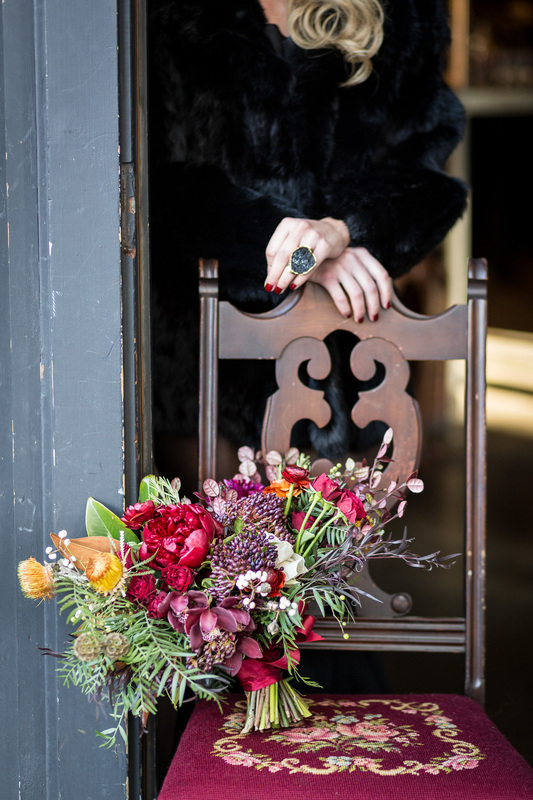 Here I have my favorite photos for my fall wedding with Leif Brandt and Kelsey Rae Designs. 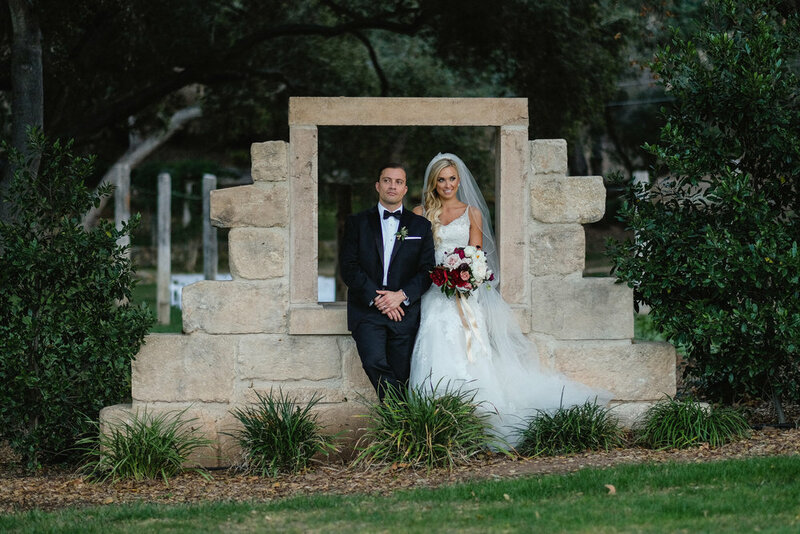 If you're considering Vista Valley Country Club as your wedding venue - book it! And seriously give me a call because I'm obsessed with flowering this place up. After being asked to participate in a bridal inspiration shoot styled by Blush and Adore and photographed by Acres of Hope Photography I knew the final product was going to be exactly what they are - STUNNING. Check out our Trendy Bride blog feature here! Kumquats, protea, and fuchsia ranunculus - love this surprising combo! Bridal bouquet using Pantone color inspiration. Full of peach Juliet roses, Mauve Quicksand roses, blue thistle, pink tulips, lavender scabiosa, eucalyptus, ruscus, fern and more. This is a shoot I keep coming back to. It's simple, classic, and elegant. The perfect inspiration for a spring wedding. Gorgeous day spent with an amazing crew at Rancho Bernardo Inn. 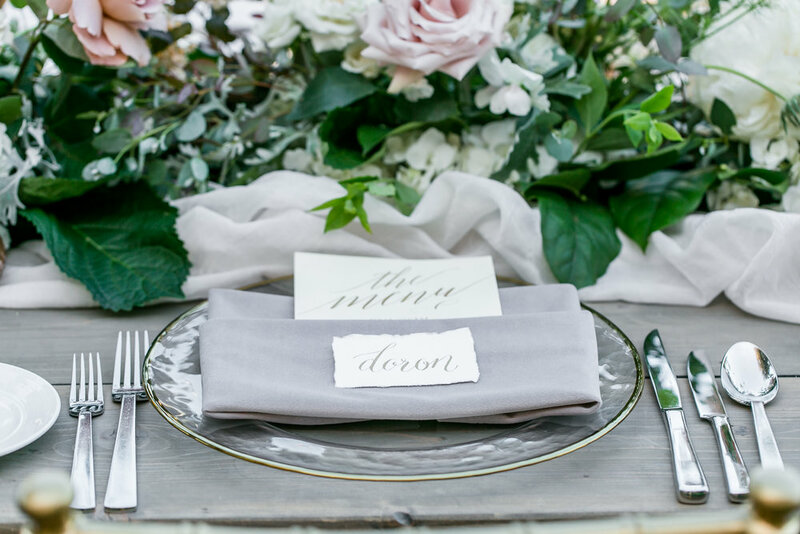 I adored this neutral palette with pops of a little "something blue" sprinkled throughout this Spanish inspired wedding shoot. Delicious display provided by Sweet Cheeks Baking Co. Such a lovely day working with some of my favorite vendors at this sweet outdoor wedding in La Jolla. The Darlington House is such an elegant and intimate venue. I love every chance I get to flower up their amazing grounds! The photos by Fog and Dawn came back beautifully! 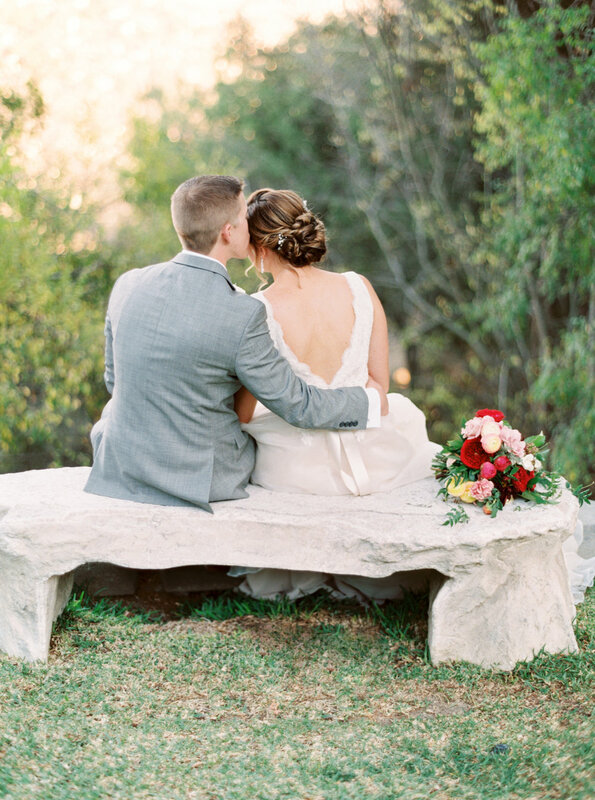 Such sweet moments and details were captured and there are just so many great backdrops on the property at Darlington. Nicole George left no detail unturned and added so many personal touches to Katie and Jack's day! Stunning calligraphy runner provided by Nicole George. The bridal bouquet was one of my favorites of 2016! The mix of peonies and garden rose from Ella Rose Farm is just classic and gorgeous!! The joy of "I DO!!" One of the many stunning and textural backdrops Darlington House has to offer. 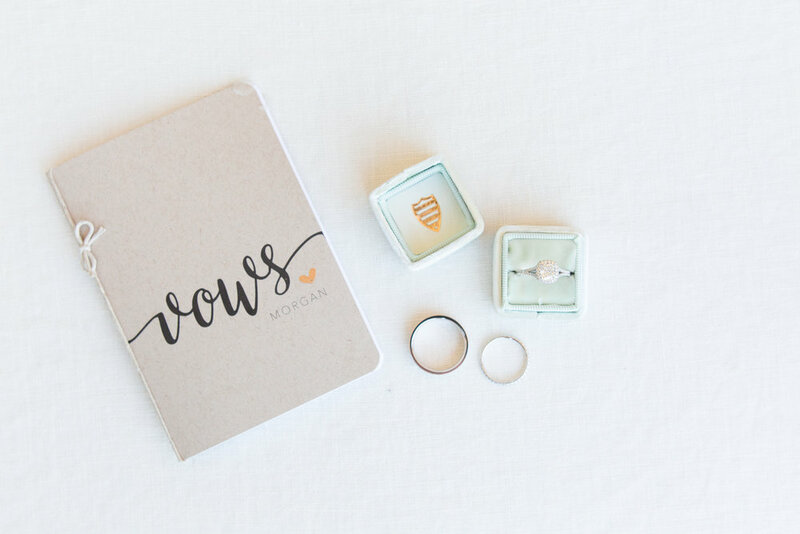 I was lucky enough to be one of the working moms that our friends at Sweet Cheeks included in their blog post about moms in the wedding industry. It was so awesome for them to reach out to me and a wonderful group of women to be included in. Click here to read about how we're raising our families amidst the demands of our working lives. Luckily, for most of us, they can generally coincide thanks to weekend events and understanding peers. So happy to share this unique and dark Hannibal inspired shoot photographed and designed by Cavin Elizabeth. She gets so much inspiration from television and movies and it was amazing to see this whole thing come together. This scene was set in the front dining room of The Lion's Share in Downtown San Diego. It had the exact moody vibe we needed with the dark walls, taxidermy, and artwork that is stunning while being a little "off". The flowers used ranged in color from deep crimson peonies, dahlias, ranunculus, and spray roses to blush Quicksand roses. And because I'm obsessed with getting as much texture as possible in each piece, I threw in some cotton still on the stem for good measure. 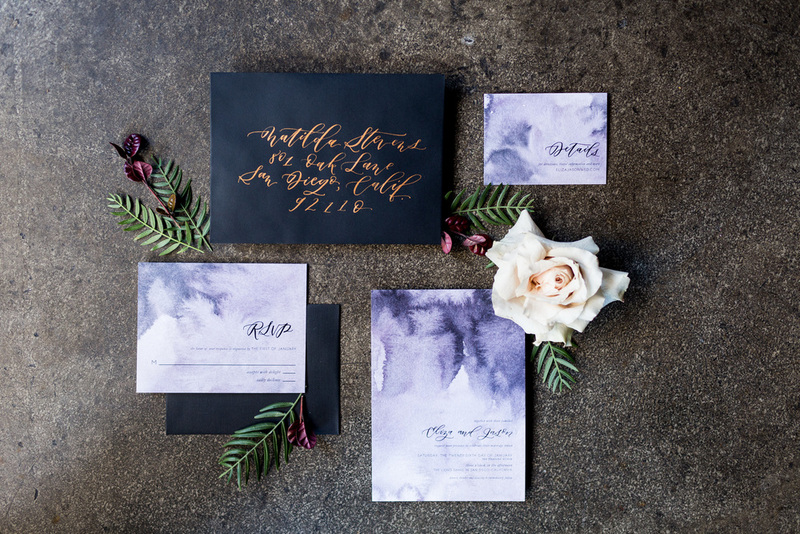 Twinkle and Toast provided the hand lettering for the invitation suite, quote cards, and place cards. Two more of our favorites, CC Vintage Rentals and Not My Dish provided the tapestry chairs, glasses, place settings, and sweet details. And look at this cake!! Hey There, Cupcake! 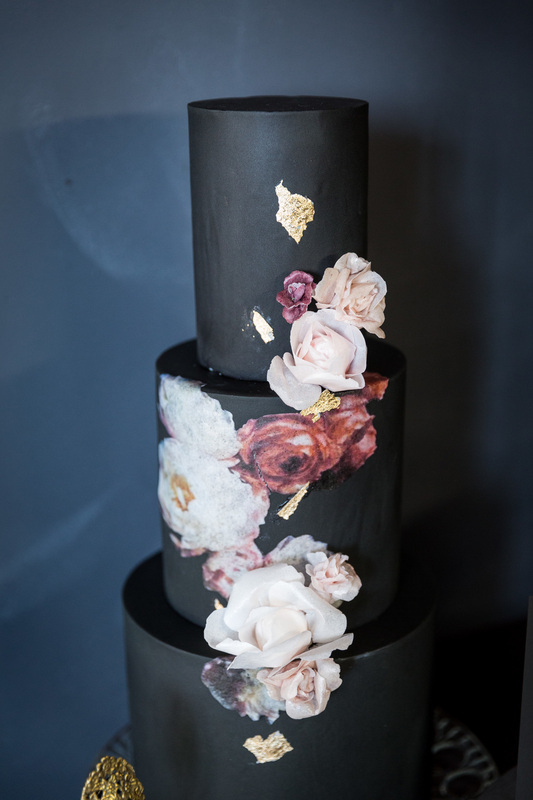 stunned, as always, with this black cake decorated with hand painted and sugar flowers. Not to mention the edible gold foil - so clean and sophisticated. More details were brought in to the table scape from Not My Dish's collection as well as a vintage perfume bottle that used to belong to my grandmother. Erin Luce at Unveiled Bridal Beauty dolled our lovely models up. Love Tatum contributed these amazing raw gems - how amazing is that huge ring? See the feature on 100 Layer Cake! Last year, I was contacted by Arlyne Sanjines (now, Mrs. Bales) to provide the flowers for her outdoor wedding at Secluded Garden Estate. The meeting we had was awesome and we were definitely on the same page. I got to know her style really well since she happens to be a YouTube sensation and shares all her favorite style secrets and hints. Arlyne in her gorgeous lace dress and Weston looking dapper in his blue suit. Arlyne walked down the aisle under the venue's greenhouse arbor. 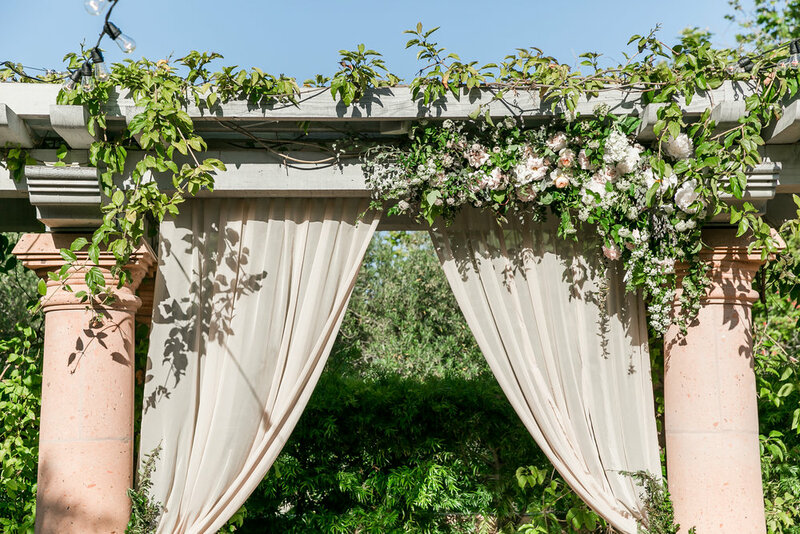 We decked the top of the arbor with draping lace and chiffon and hanging glass orbs. A massive floral installation at the vow site held a mix of willow branches, olive branches, king protea, blue delphinium, terra cotta roses, white stock, and lots of other textural details. She wanted a really warm and eclectic mix of colors with rich marsala as the color anchor and a variety of blue hues and blush to accent. 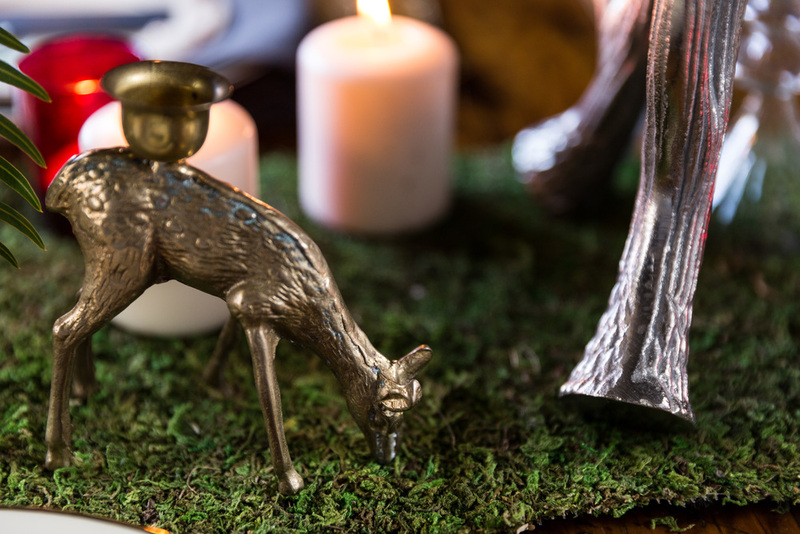 We brought in the beauty of the natural fauna of the venue and used lots of greenery in deep and sage tones. This brought so much texture to each area and it was a treat to the eye as you looked around the expansive grounds. 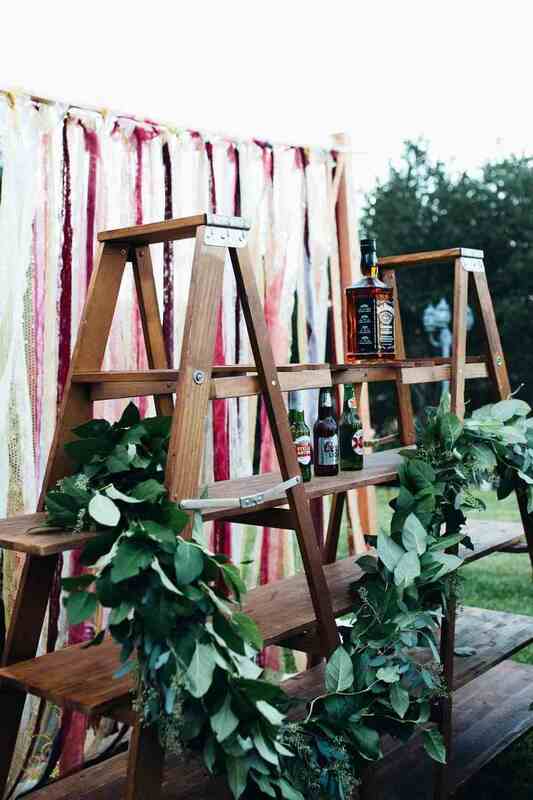 Garland of broad leaves and seeded eucalyptus decked the bar from Sundrop Vintage (who provided all the awesome furniture rentals) and the gorgeous seating chart hand lettered by Louise Letters. Two different table styles for the guests. For half of the tables we used matching greenery garlands. For the other half we used a mix of metal and glass pedestals holding elongated floral arrangements of roses, dahlias, delphinium, gold orchids and banksia, and berries. Louise Letters provided custom hand dyed table numbers and these fun gold frames. Her bouquet held a mix of garden roses, thistle, orchids, banksia, spray roses, and a ton of greenery. It was absolutely stunning - look at that amazing bauble ribbon! The bride and groom took personal photos at Balboa Park after the ceremony. 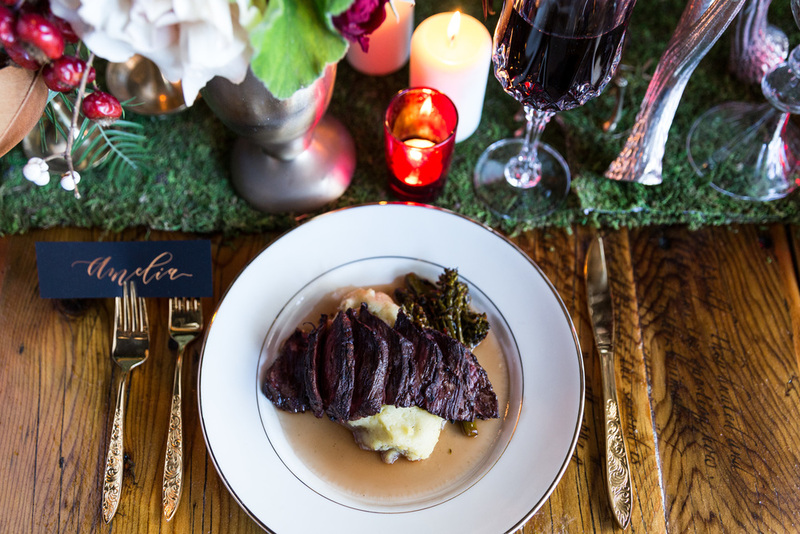 Anne's wedding at Moniker Warehouse in downtown San Diego was full of burgundy and rich magenta. It was important to her husband to have a splash of purples to celebrate his alma mater. We balanced the deep toned garden roses, dark dahlias, and vibrant spray roses with soft peach roses, blushing bride protea, and lighter toned orchids. 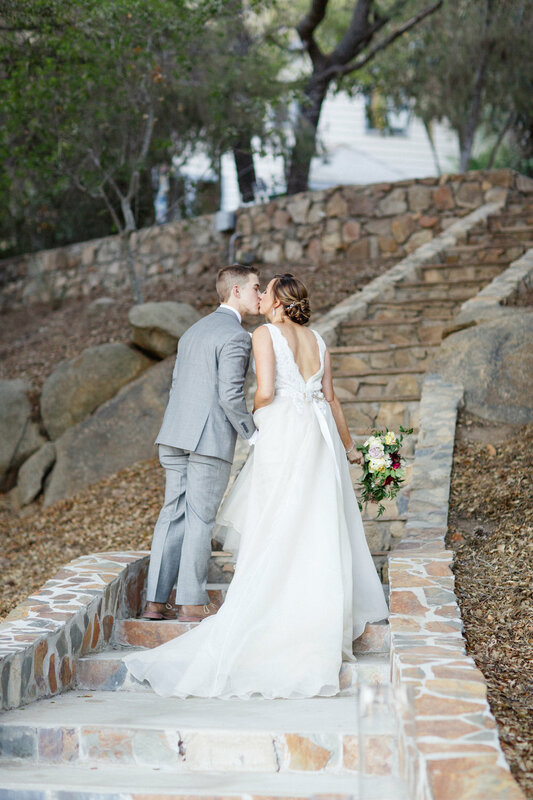 Fragrance was abundant with the lavender sprigs, gardenia greenery, and seeded eucalyptus. The couple and their guests partied the night away at Moniker Warehouse. When Anne contacted me she said she was getting married at Moniker Warehouse and loved the industrial feel. Her main concern, though, was making the large space feel warm and intimate. We accomplished that by incorporating garden style arrangements in two different formations. Half the tables had a single arrangement on an elevated mercury pedestal. 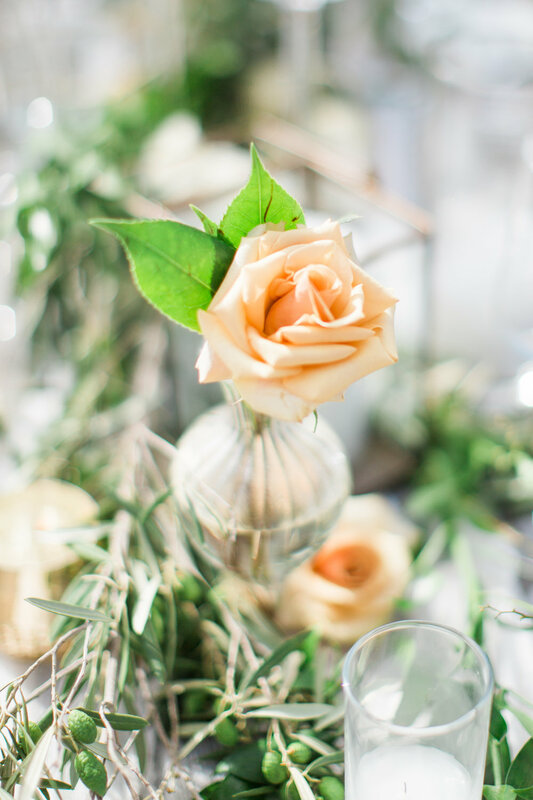 The other half of the table had a trio gathering; three different delicate glass vases holding their own selection of flowers and greenery. Jennie and Tim's wedding will be featured in the Spring/Summer issue of Exquisite Weddings Magazine. 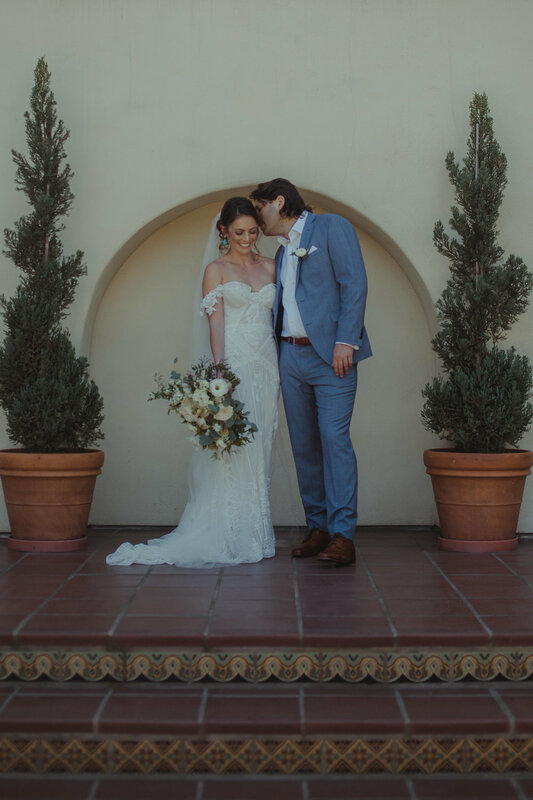 It was such a gorgeous ceremony in Old Town San Diego followed by a wild night at The Luce Loft in Downtown San Diego (all the amazing furniture rentals were provided by CC Vintage Rentals). 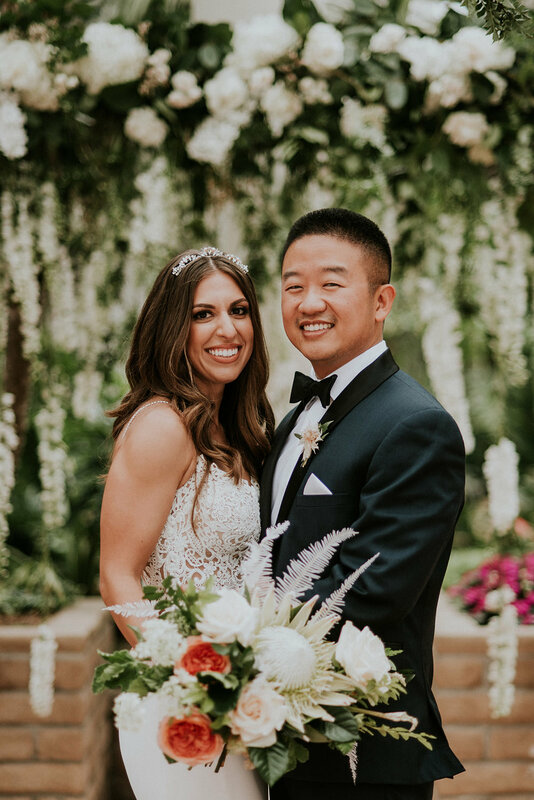 Jennie started with a pretty soft color scheme of white, blush, and deep burgundy accents but as we approached the big day she decided to go all out. We used a balance of richness and softness with deep dahlias, blue tweedia, latte garden roses, blush and ivory spray roses, fuchsia parrot tulips, and so much more!! It seemed a little wild at first but as everything came together it got more and more stunning. The delicate textures kept the color combo from looking too heavy and the mid tones of ivory and latte brought together the full color spectrum. 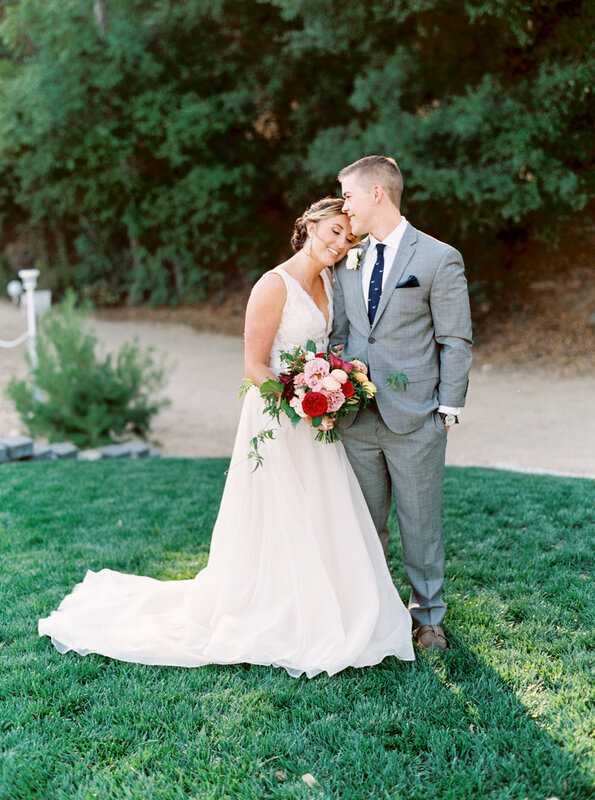 Rachel was another bride that started with a classic and sweet color scheme and eventually went all out mixing soft yellows, blush, pink, and crimson! Who would have though it worked? But it did! Parrot tulips in neutral tones with soft blush sweet peas set the mid tones for crimson peonies, yellow yarrow, and fuchsia globe tulips. Aside from the texture and color combo - look at all the mint. Can you imagine the amazing fragrance? This New York wedding is also close to my heart because Rachel is one of my closest friends and favorite people on the planet. 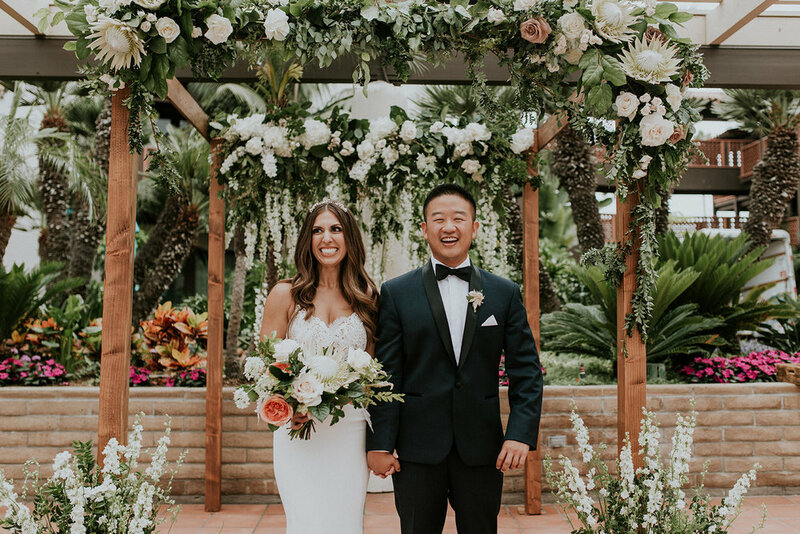 BLOOMS by breesa lee is a San Diego based wedding and event florist offering full service floral design to all of Southern California. travel welcomed.